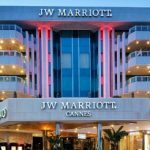 London & Capital hosted another free financial seminar, this year at the JW Marriott in Cannes. The topic this time was: As we enter 2019 the question is: Are we in a crash or a correction? 10 Years after the last downturn are we heading for a recession? Is the worst behind us?